In 2013 the Grafton Chamber of Commerce was in search of a new accounting system. The organisation’s manual accounting system was failing to keep pace with its rapidly growing membership base. Executive Officer Mark Butler was asked to find a solution for the Chamber which was both efficient and easy to use. As a volunteer organisation, the Chamber needed a system which could be used by any member of the executive if required. Mark had previously used Reckon products and had no hesitation using the brand again. He opted for Reckon One on the basis of its competitive price, simplicity and range of features. The product has delivered for the Chamber, saving significant time on accounting tasks and providing accurate, timely information. 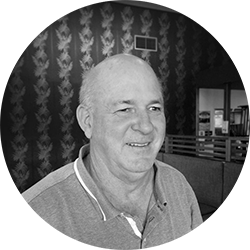 Before using Reckon One, The Grafton Chamber of Commerce was using a manual system which was cumbersome and unworkable for the size of the organisation. The problem was clear to Executive Officer Mark Butler when he assumed his role in 2013. Mark was tasked with finding a quick solution for the organisation, which was adding new members every week. A key priority for Mark was implementing a system which could be used by other members of the Chamber Executive with little training. As a volunteer organisation, it was important for the Chamber to have backup available if Mark was unable to look after their accounts. Mark had been using Reckon Accounts Hosted in two of his businesses and found the software to be impressive. He was able to choose Reckon One with confidence, knowing Reckon products would deliver. After researching the company’s different offerings, Mark selected Reckon One with the invoicing module based on its modest price, range of features and ease of use. The simple interface appealed to Mark and it didn’t take him long to set up the software. In just a short time he was able to use the software productively and get on top of the organisations accounting tasks. The Chamber is using Reckon One to process invoicing, keep track of memberships and manage expenses. Using the software, they can quickly and easily produce membership invoices and bill payments. The program has been a huge time saver for Mark who has been able to automate many tasks which had previously been performed manually. Mark has been very satisfied with the product and is confident it will continue to fulfil the organisations needs in the future. The Chamber is planning to introduce an online payments system which will integrate seamlessly with Reckon One. Through the course of his business career, Mark has learned the vital importance of keeping accurate and organised records. Having worked with the earliest personal computers, Mark appreciates how far accounting software has come over the last two decades. He has seen software not only become more powerful but also much easier to use. Now he is using the latest cloud based accounting software to ensure the Grafton Chamber of Commerce has an efficient, easy to use system it can rely on. 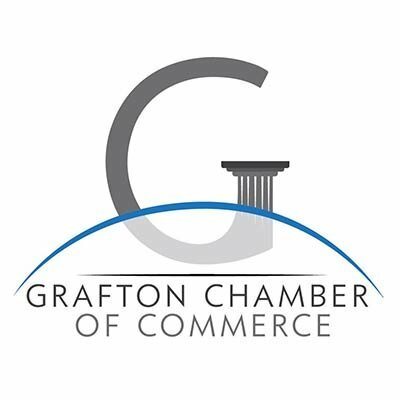 The Grafton Chamber of Commerce is a not-for-profit organisation that aims to promote economic development and the growth of businesses in the Grafton area. With more than 200 local members, the Chamber offers activities and regular networking events that feature a range of guest speakers. The Chamber has an active and dedicated Executive Committee of elected local businesses which advise Local, State and Federal Governments on business related issues.